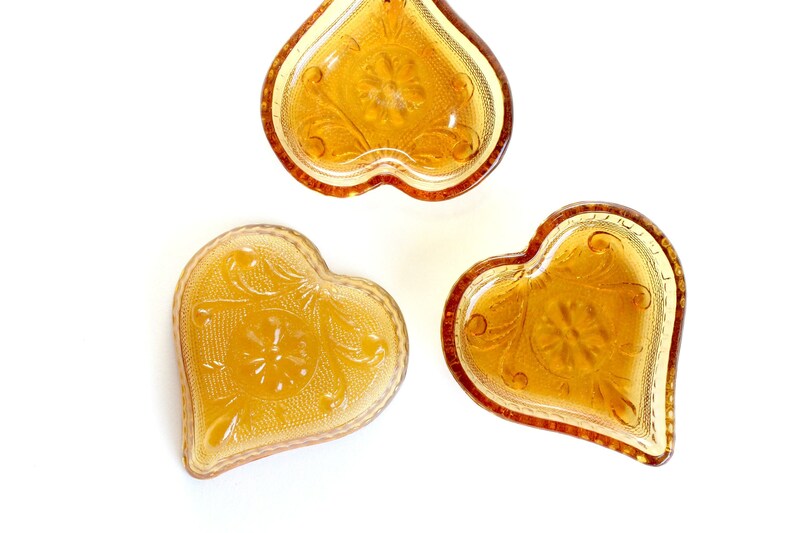 Pretty little amber glass heart tray. 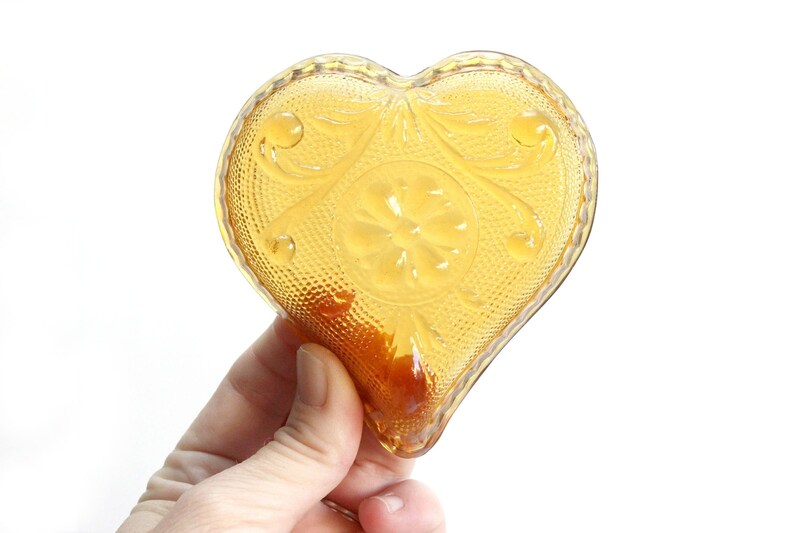 Yellow pressed glass heart. 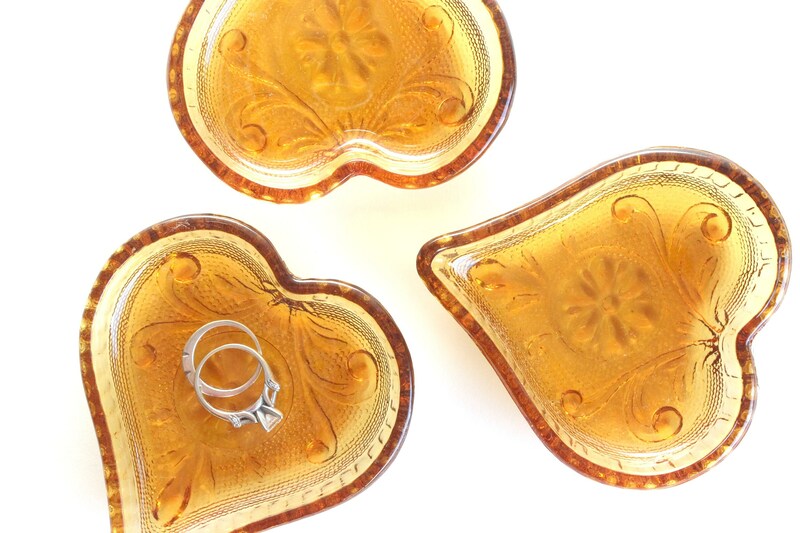 Shallow tray perfect for earnings or rings. Makes a great stocking stuffer or Mother's Day gift! This listing is for one tray. Please contact me if interested in more than one. 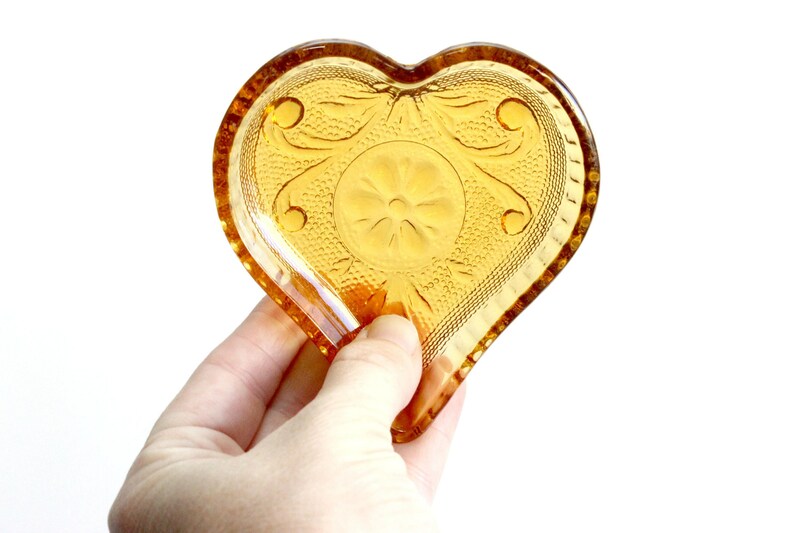 Measures 3.5 inches wide, 3.5 inches long and .75 inch tall.